The Client provides specialized logistics solutions to manufacturing, technology, wholesale, retail, and home delivery companies throughout the United States. Its primary lines of service include managed freight, logistics, shipping, and storage. The company currently has more than 200 employees and annual revenues of over $30 million. With over 40 years in the business, the Client has already established a reputation as a leading logistics provider in most of the segments it operates in. The company has recently been ramping up its presence in the “last mile” delivery market. This was marked by a series of specialized logistics services rolled out during the last three years, which were aimed at helping traditional retailers and ecommerce companies streamline their home delivery operations. To support its push into the U.S. home delivery space, the Client had put together a “full spectrum” marketing plan. The primary strategy combined a number of digital and outbound channels deployed throughout their conversion funnel. During planning, the Client had also decided to divide the marketing activities between its internal team and an outside marketing agency. A third-party vendor would handle most of the early-stage prospecting and lead generation activities, while the company’s in-house agents took care of activities further down the funnel. After reviewing a handful of potential providers, the Client chose to partner with Callbox. The Client pointed out Callbox’s track record of successfully carrying out marketing campaigns for other B2B logistics companies as one of the main factors behind their decision. Taking the Client’s requirements into careful consideration, Callbox then hammered out a plan for a three-month appointment setting campaign which the Client reviewed and approved. The Client specified retail and ecommerce businesses that sell furniture, electronics, and appliances all over the United States as the main companies to target. Decision makers in charge of logistics operations, home delivery operations, and order fulfillment were identified as the ideal prospects to contact. Callbox obtained contact and other key information from its in-house database and through additional research. The Callbox team engaged the target decision makers through a combination of email, phone, social media, and web touch points. Targeted emails and one-on-one phone conversations provided direct outreach capabilities. Social media (primarily through LinkedIn) and online marketing (mainly Google AdWords) enabled more opportunities to connect with prospects. Each touch point with a prospect was scheduled and triggered based on a defined lead nurturing cadence. 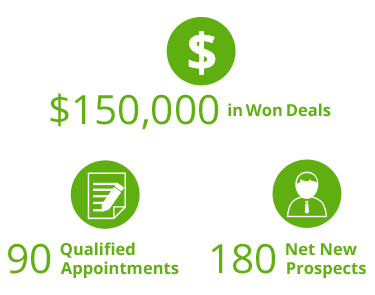 Prospects who agreed to a phone or face-to-face meeting with the Client’s sales reps were tagged as qualified appointments (sales-qualified leads, SQLs). Callbox Pipeline CRM served as the campaign hub where the Client and campaign team managed and executed the project. 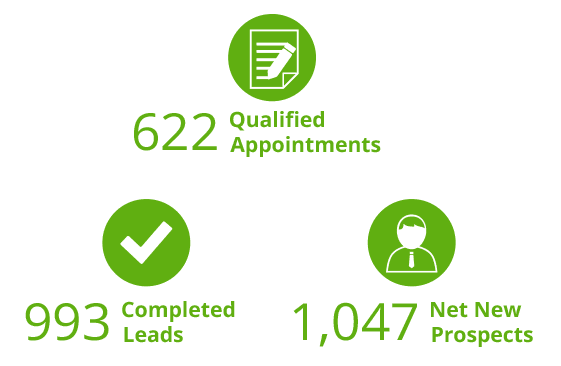 In terms of overall prospecting results, the campaign delivered a total of 83 qualified appointments (sales-qualified leads or SQLs) and 48 completed leads (marketing-qualified leads or MQLs). The Client was able to close 3 new customers worth $6 million from the generated SQLs while the campaign was still ongoing. The company expects to win more deals from the qualified appointments handed over by Callbox within the next couple of months. The Client was very satisfied with the results of the three-month campaign that they decided to partner with Callbox for their upcoming campaigns. In fact, at time of writing, the Client is in the middle of a new Callbox appointment setting project for one of their other logistics solutions. Get More B2B Singapore Leads. Enquire Now. The Client is an Atlanta, GA-based managed IT services provider with a branch office in Sydney, AU. 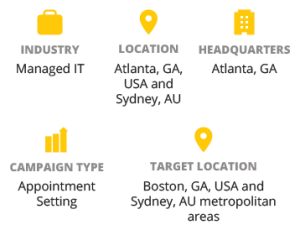 The company works with SMEs in both the Atlanta and Sydney metropolitan areas, offering a variety of IT services including procurement, consultancy, technical support, project management, and cloud management. The Client started working with Callbox in 2017. Throughout the ensuing 12 months, Callbox has remained a strategic marketing partner for the company, helping them reach key business milestones. As an extension of the Client’s marketing team, Callbox is responsible for planning and executing targeted outbound prospecting campaigns based on the company’s growth objectives and revenue goals. During the project’s first two campaigns, the Client focused on increasing awareness and acquiring customers for its growing suite of managed services aimed at SMEs in the Atlanta metropolitan area. As the company’s marketing priorities shifted (such as the addition of new offerings like its IT advisory and cloud management solutions into the product mix), Callbox was consistently able to readapt how it planned and managed campaigns according to the Client’s changing requirements. The specialized nature of the Client’s services also meant that marketing reps handling the Client’s campaigns needed to have a good technical grasp of the offerings. This ensured that the company’s unique value proposition was effectively communicated to the target prospects. Callbox helped the Client refine its ideal customer profile (ICP) by analyzing and documenting its target market and existing customers. Callbox’s database team then collected contacts that matched the ICP through Callbox’s in-house data repository and also through desk research. For both Atlanta and Sydney campaigns, the Client wanted to target business owners, office managers, it managers, and finance managers from companies in 10 industries, with 15 to 500 employees. 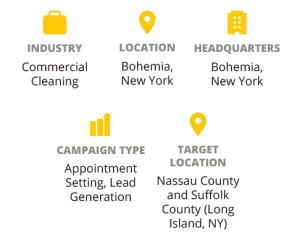 The campaigns followed a multi-touch outreach cadence primarily made up of email and phone touches to contact and schedule prospects for one-on-one meetings with the Client’s reps.
Social media was also used in later campaigns as an added touch point for profiling and nurturing leads. The Callbox team prepared all campaign materials including the call scripts, email templates, landing pages, and social media posts. The first two campaigns were executed using the Client’s own CRM, but later projects were migrated to Pipeline (Callbox’s proprietary marketing automation tool). Pipeline includes SMARTCalling, a data-driven call optimization feature, to maximize decision maker reach, as well as Lead Nurture tool to help the Client customize the outreach cadence. Callbox also provided real-time updates on campaign progress and lead/appointment status, and sent out timely notifications to ensure meetings took place as scheduled. The project has now completed three full campaigns (each with three months of appointment setting activities) and is currently in the middle of the fourth campaign. So far, the results are in line with the Client’s targets. The three completed campaigns have generated a total of 90 qualified appointments, or an average of 30 per campaign (around 10 per month). The Client says this far exceeds what their team can produce in-house. More importantly, during the second campaign, the Client was able to win new contracts worth $150,000 from the appointments delivered by the Callbox team. The Client is a family-owned commercial cleaning company that serves businesses in the Long Island, NY area. The company offers janitorial services, building maintenance solutions, as well as sanitary supplies. It specializes in commercial, medical healthcare, educational, industrial, and retail properties. With limited manpower and resources to carry out outbound prospecting activities in-house, the Client hired the services of Callbox in January of 2015. For the next two-and-a-half years, Callbox served as a close extension of the company’s sales team, consistently providing appointments and leads to its reps and marketing staff. The Client was very clear about meeting these standards. This formed the basis for selecting Callbox since the agency was able to demonstrate these qualities through its flexible service proposal and actual track record in deploying successful marketing campaigns for commercial cleaning firms. In addition to the Client’s messaging requirements, the company also went into the partnership with Callbox expecting to receive at least 15 qualified appointments from the campaign each month. Throughout the whole effort, the campaign plan centered on carrying out multi-touch, multi-channel appointment setting mainly through an outreach cadence of phone and email touch points. 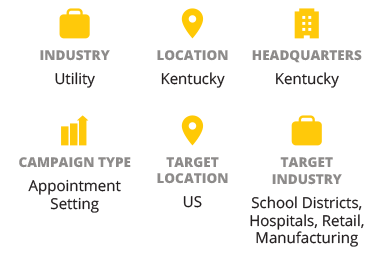 Callbox then helped the Client identify and refine the campaign’s target prospects which consisted of decision makers handling facilities management, operations, and business service procurement. The target companies included businesses having at least 75 employees, that operated large Buildings like schools, laboratories, manufacturing facilities, medical practices, and large retail establishments located throughout the Long Island, NY area. With the Callbox-supplied prospect list, the campaign was able to increase its reach and scope much more than what was possible with the Client’s own database. The Callbox team used SMARTCalling, its proprietary call management algorithm, to determine the optimal times to contact prospects and increase success call rates. Prospects who agreed to an in-person or phone meeting with the Client’s reps were tagged as qualified appointments, while contacts who accepted company literature via email were labeled as completed leads. The outreach cadence was made up of a combination of phone and email touches tailored for the Client’s specific objectives and targets. The campaign relied on emails to initiate contact and nurture prospects, in particular leveraging targeted send-outs for both qualifying leads and distributing marketing literature. Callbox’s exclusive Lead Nurture tool enabled easy orchestration of event-driven email touches. Callbox was able to maintain delivering 17 to 22 qualified appointments each month throughout the project, which meant that the campaign consistently met the Client’s expectations. Although the Client did not disclose any figures, the company has mentioned that it had already converted “a great deal” of the Callbox-supplied appointments into new customers. The Client provides NLP-based computer-assisted coding (CAC), clinical documentation improvement (CDI), compliance auditing, and analytics solutions to hospitals and healthcare facilities all over the United States. The company also offers medical coding, transcription, and revenue cycle management services. The Client, a provider of NLP-enabled medical coding and health information management SaaS applications, routinely outsources initial prospecting activities to third-party agencies. With a sales cycle that can take more than six months to complete, the company believes its in-house sales team is best put to use nurturing and following up qualified opportunities instead of doing cold outreach. This led the Client to briefly reassign much of the prospecting work to its in-house reps. But this move also produced underwhelming results. Scheduled appointments fell to 6-8 a month, and the Client saw a corresponding drop in the number of proposals sent. It was clear that outsourced prospecting made more business sense for the Client, but the company needed to make sure that the agency it partnered with should focus on both volume and quality of sales opportunities being delivered. The Client chose Callbox after a thorough review process, pointing out Callbox’s multi-channel, multi-touch approach at prospecting as a crucial factor. Callbox’s own track record and a growing body of industry research show that this strategy tends to produce higher quality prospects at scale. In addition, Callbox also had extensive technical background in complex-sale products such as healthcare SaaS solutions, which meant a more favorable learning curve for the agents and faster campaign deployment. The Callbox team then collaborated with the Client to work out a campaign plan. The plan proposed a three-month appointment setting program that combined phone calls, emails, and social media, with the goal of setting up phone demos with qualified prospects who want to learn more about the Client’s SaaS offerings. 1. Callbox identified potential hospitals to target all over the United States and segmented the records into small, medium, and large institutions based on the number of hospital beds available in each facility. 2. The Callbox team then pinpointed which decision makers to contact in each hospital, which included roles such as HIM directors, CIOs, CFOs, and persons in charge of clinical documentation. 3. Agents then contacted each prospect to qualify them as leads or schedule them for a phone demo with the Client’s reps.
1. The campaign team created email templates for the different touches in the prospecting cadence, including initial outreach, targeted send-outs, and a series of follow-up emails. 2. Intro emails warm up prospects and help the team identify which ones to prioritize, while targeted send-outs allow agents to distribute the Client’s marketing materials to interested prospects. 3. The Client also helped set the touch points in the prospecting cadence through Lead Nurture, a built-in drag-and-drop marketing automation tool within Callbox Pipeline, Callbox’s proprietary lead management and CRM platform. 1. LinkedIn provided another set of touch points to nurture and engage prospects further. 2. The campaign team’s social media specialists expanded the Client’s LinkedIn connections, joined relevant groups, and reached out to prospects via InMails. 3. The Callbox team also collected additional prospect data via LinkedIn to further enrich the contact and appointment information handed off to the Client. The three-month pilot campaign ran for a total of 66 days. As with most pilot campaigns at Callbox, the first few weeks were spent laying down the groundwork for appointment setting by warming up prospects and initiating contact through emails and social media activities. Most of the appointments were generated after the first full month of the campaign. The campaign’s email marketing activities produced open rates of 24.2%, click-through rates of 11.2%, and hard bounces of 0.04%, which remained roughly in line with the company’s benchmarks. The social media activities, meanwhile, generated 759 new connections and reached a 12.5% InMail response rate. 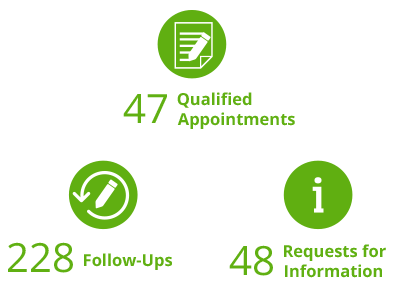 The Callbox team handed off a total of 47 qualified appointments to the Client’s reps during the three-month pilot campaign. This represented more than a two-fold increase over what its internal sales team could typically produce in a comparable period. Out of the 47 new appointments, 16 and 20 were generated in the second and third months, respectively, showing a clear uptrend. This strongly indicates that the rapport-building and lead nurturing efforts during the campaign’s early stages are turning into measurable results. To build on this momentum, the Client is renewing its contract with Callbox for another three months. The Client provides a comprehensive suite of food and beverage vending solutions for small- to- mid-sized businesses, including its proprietary line of self-service workplace micro markets. The company also offers a broad range of corporate dining and refreshment services, such as office coffee services as well as catering and pantry services. Workplace micro markets are fast becoming a more popular alternative to traditional office vending machines. Micro markets offer a healthier and more diverse selection of food, drinks, and snacks at companies where having a full-service cafeteria or kitchen isn’t an option. They provide businesses and employees better convenience, increased efficiency, and greater wellness benefits. The Client is looking to capture a bigger slice of the growing demand for micro market solutions, particularly among mid-sized companies in the Minneapolis-St. Paul area. Its current (mostly inbound) marketing program generates an average of 10 appointments per month, of which 30% become salesqualified. The company’s sales team can close around 40% of these opportunities as new customers. To achieve its expansion goals, the Client realizes it has to increase the flow of leads and appointments into its pipeline. That’s why the Client wants to complement its inbound marketing initiatives with targeted, outbound prospecting tactics. But with its in-house marketing team and sales reps already facing hectic workloads, the Client understands it needs to outsource a good deal of top-of-funnel outbound marketing activities, such as prospect research and prequalification. The Client partnered with Callbox after short-listing a number of third-party marketing agencies. The company says Callbox’s consultative approach at helping the Client narrow down its marketing needs, plus Callbox’s multichannel marketing philosophy, set it apart from the other candidates it was evaluating. The effort started out with a thorough analysis of the Client’s ideal customer profile. This consisted of companies operating in the Minneapolis-St. Paul area belonging to any of 8 two-digit SIC groups, with between 250 to 500 employees. The Client also wanted to prioritize companies with at least 100 employees working at a single location in order for its self-service micro market kiosks to tap into sufficient foot traffic. 1. Callbox prepared the campaign call list based on the Client’s requirements. 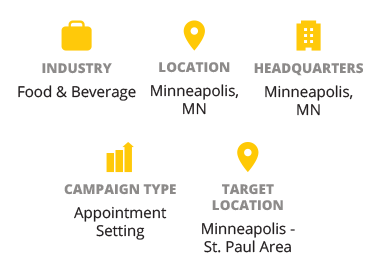 The Client also handed Callbox a list of Minneapolis-St. Paul companies that were already in the Client’s pipeline or its current customers. 2. Callbox also drafted the campaign call scripts which included probing questions tailored to achieve the three objectives outlined earlier. 3. Agents contacted key decision makers in the target companies and classified these prospects as qualified appointments (those who agreed to meet with a Client rep) or completed leads (those that indicate interest in micro market offerings). 1. The campaign leveraged targeted emails in order to warm prospects up, send out marketing materials, and follow up on previous touch points. 2. The campaign team’s email specialists crafted personalized email templates and tested each email component (subject lines, email copy, sending schedules, landing page, etc.) to achieve optimal response rates. 3. The Client received real-time campaign updates and helped plan email marketing cadence using Callbox’s Pipeline CRM tool. The pilot campaign ran for a total of 66 days (22 days per month) and met all its objectives. As with most Callbox multi-touch, multi-channel appointment setting projects, the campaign’s initial phase was spent warming up contacts and refining campaign targets through email outreach, which produced engagement results in line or better than industry benchmarks: delivery rates of up to 98%, open rates of up to 32.8%, and Click-through Rates of up to 13%. 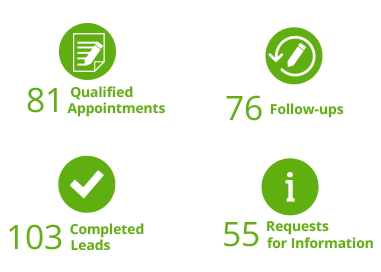 Using the Client’s current funnel metrics, the 81 qualified appointments potentially translate into an additional 24 new sales-qualified leads, which in turn can be converted into 10 new customers. With an average deal size of $5,000 per month, the Client is looking at an increase of $600,000 in annual sales from the pilot campaign. The Client is the corporate travel management arm of a leading online travel agency. the company provides end-to-end business travel solutions tailored for every stage in the travel cycle. Its primary products and services include its flagship online booking platform, a full suite of travel management and reporting tools, and personalized account management and consulting. Shortly before first contacting Callbox, the Client was in the middle of a key strategic refocus that aimed to expand the company’s footprint in the growing SME business travel segment. The Client had already developed specific packages and solutions tailored for small and medium-sized companies’ needs and was looking to acquire more SME accounts. To help drive awareness and generate interest in its SME-focused offerings, the company launched a number of lead generation initiatives that included publishing a comprehensive whitepaper on creating and deploying a company travel policy. The Client wanted to reach new prospects with this content asset but encountered mixed results with the distribution and promotion tactics they were using (which mostly consisted of inbound channels like SEO, social media, and online promotion). Downloads average 6 per week (although this went up as high as 11 in the first full week after publication) and marketing-qualified lead (MQL) conversion rates didn’t meet the Client’s targets. After considering other options for distributing the whitepaper, the Client decided to include outbound channels in its content promotion mix. 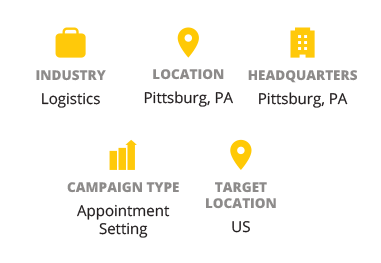 But, having no outbound expertise of its own, the Client began looking for a third-party lead generation vendor to handle the outbound portion of the campaign. The campaign carried out direct, targeted outreach through live conversations with the target prospects enhanced through email, social media, and online channels. The decision makers included HR directors, HR managers, CFOs, finance directors, administrative managers, CEOs, and other persons in charge of expense management/ procurement from companies all over the U.S. with annual revenues not exceeding $10 million. 1. Callbox prepared all materials used in the campaign. These were reviewed and approved by the Client. The materials included the campaign contact list, call scripts, email templates, and landing pages. 2. Calling agents engaged the target prospects through one-on-one conversations which served to promote the whitepaper and to qualify the leads. 3. The campaign used emails to add another layer of touch points for distributing the whitepaper, as well as leveraged the LinkedIn platform to increase reach and visibility. The targeted lead generation campaign ran for a total of 66 days (22 days per month). As with most of Callbox’s multi-touch, multi-channel lead generation projects, leads only began trickling in after the first two weeks of the campaign. That’s because the campaign’s opening phase focused on initiating contact and nurturing prospects through email which maintained open rates of 32.2% and click-through rates of 9.7%. The company travel policy whitepaper was downloaded a total of 189 times during the three-month campaign period, which gave a weekly average of nearly 16 downloads (or twice the pre-campaign rate). 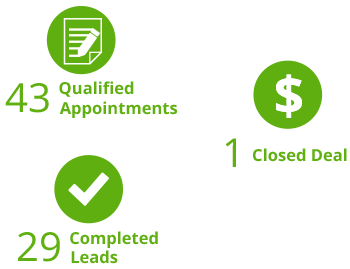 The Client also mentioned that 80% of the 109 leads (or 88 leads) were already MQLs. The Client is a medical software company that specializes in emergency department (ED) information systems. The company’s primary product line is its flagship best-in-class ED medical record application widely used by healthcare facilities in the U.S. and Canada to improve patient care quality and operational efficiency. The Client sells its trademark high-performance ED software system to hospitals all over the United States and Canada. The browser-based application helps improve ED performance with a full suite of operational and management tools. It also provides interoperability with the hospital’s EMR and other healthcare information systems involved in the patient’s care. The company’s main product enjoys significant brand equity, but as competition continues to tighten in the medical software space, the Client has adopted a more aggressive growth strategy. This recent shift is starting to overstretch the company’s marketing and sales resources. 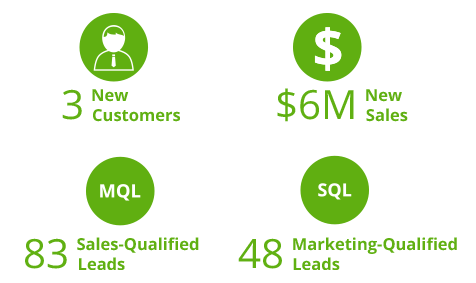 Their inside sales team has consistently been unable to meet the new prospecting targets, especially in terms of call volumes, number of prospects reached, and early-stage conversions. The new strategy also reveals gaps in the Client’s marketing data, with record counts often falling short of campaign requirements. That’s why the company wants to outsource the bulk of its prospecting activities to a third-party agency. 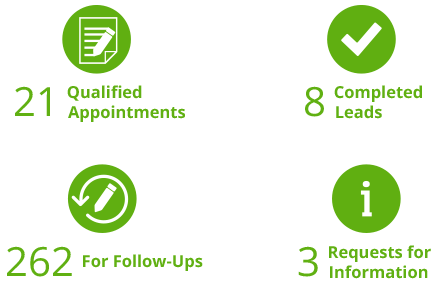 These activities include initial outreach, lead qualification, desk research, data validation, and appointment setting. The Client, however, requires a marketing partner that can seamlessly become part of its sales process. In particular, the company wants to hire a provider with deep domain knowledge of healthcare information systems in order to engage prospects better. Callbox’s industry-specific, integrated appointment setting solutions placed it on top of the Client’s shortlist. But it was Callbox’s lengthy track record of launching successful campaigns for medical software companies that convinced the Client to choose Callbox as its marketing partner. 1. Callbox compiled and profiled the campaign contact list using the parameters specified by the Client. 2. The Callbox team also prepared the call script which included probing questions to qualify the prospect and set a follow-up meeting. 3. Contacts who agreed to a scheduled phone meeting with a Client’s rep were labeled as qualified appointments. 1. The Callbox team created and tested two email templates to be used in the campaign: the intro email and the targeted send-out. 2. The intro email primed prospects for upcoming campaign touch points. 3. The template for targeted send-outs was used to distribute other marketing collaterals from the Client. 1. As part of Callbox’s multi-channel approach, the team engaged positive contacts by connecting with them on LinkedIn. 2. The campaign also relied on prospect information collected and verified using LinkedIn. 3. LinkedIn also served as a tool to increase the Client’s online visibility and brand. 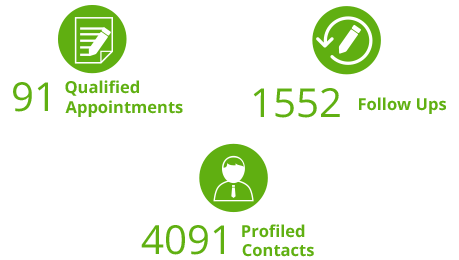 The campaign has now completed a total of four months’ worth of appointment setting activities and is currently in its 5th month. The Client provides industry-specific implementation, training, and consulting services for Microsoft Dynamics AX and Microsoft Dynamics CRM. Its target accounts include medium- to large-sized business in North America and the Caribbean. The Client is a Microsoft Cloud Solution Provider and a Microsoft Gold-Certified Partner. The Client’s core mission is to help companies implement and optimize Microsoft Dynamics AX and CRM applications. It sells its services primarily to large- and mid-sized businesses in verticals such as distribution, manufacturing, and professional services. The company recently refocused its marketing initiatives toward growing the customer base for its three industry-specific modules: industrial, professional services, and AX users. 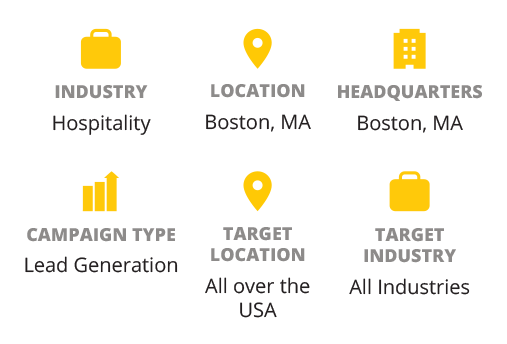 Part of its new customer acquisition strategy called for targeting prospects throughout the U.S via outbound channels. Being a small company (with only 35 employees), the Client clearly needed some outside help carrying out many of its marketing activities. Past experience has taught the company that its small team of in-house sales reps was best deployed following up qualified leads and nurturing opportunities, instead of spending a great deal of their time prospecting. The Client chose Callbox at the suggestion of one of its partner IT companies. The Client pointed out that Callbox’s marketing experience in the enterprise cloud space was a deciding factor. Callbox then put together a 6-month appointment setting program consisting of six monthly campaigns. Each campaign focused on a specific segment for the company’s three main modules. The entire project made use of live phone outreach integrated with email and social media activities. 1. Callbox compiled the list of target prospects from companies that meet the Client’s requirements for industry, location, and annual sales. 2. Contacts whose organizations are currently evaluating their ERP or CRM software and are looking to acquire a new platform within the next 12 months are tagged as qualified prospects (qualified appointments or completed leads). 3. Probing questions for solution fit uncover information on software usage, business pain points, buyer role, etc. 1. The Callbox team used emails for warming up/ nurturing prospects and for distributing Client materials. 2. Callbox’s SMART Calling technology prioritizes calls based on time and frequency of email opens, clicks, and replies. 3. Callbox also prepared and optimized all email marketing collaterals (templates, landing pages, etc.) used in the campaign. 1. The Callbox team nurtured positive contacts further by connecting with them on LinkedIn. 2. The campaign’s social media specialists used LinkedIn to collect and verify prospect data, as well as to generate additional leads. 3. The team also leveraged LinkedIn to boost the company’s online presence by joining and participating in relevant groups. Most of these results were recorded during the closing stages of each campaign. The Client says that all 21 appointments meet their sales criteria, so they expect to convert around half (or 11) of these prospects within the next 6 to 12 months. The Client is the LED Lighting division of a Kentucky-based vendor-sourcing company. As one of the largest fully-integrated LED companies in the U.S., the Client develops and executes end-to-end LED lighting solutions for businesses, deploying complete teams of lighting architects, engineers, project managers, and electricians. The Client’s main line of service helps companies successfully implement and maintain LED lighting projects. Its key differentiator is that it provides fully-integrated, end-to-end LED lighting project management packages that come bundled with the needed expertise and support. The Client also offers 5-year unlimited warranties to its customers, which further sets it apart from other players in the industry. Because the Client typically sees conversion cycles thatspan several months, the company devotes much ofthe funnel to nurturing leads and opportunities. That’s why the Client traditionally outsources top-of-funnel prospecting activities to third-party agencies. As a previous Callbox customer, the Client already understands the value that Callbox’s multi-touch, multi-channel appointment setting solution delivers. In choosing Callbox for the second time, the Client expects the same level of commitment and service that brought success to the past campaign. The Client signed up for a 3-month standard appointment setting campaign that also covered database profiling, email marketing, and social media marketing. 1. The Client provided a list of contacts for Callbox to profile. 2. The Callbox team relied on both primary and desk research to profile the contact list. 3. The Callbox team leveraged online and phone-based techniques to validate and update each record. 1. Callbox prepared the call scripts based on the materials the Client sent over. The Client then reviewed and approved the versions specific to each target industry. 2. Prospects with current or upcoming LED lighting projects who agreed to meet with the Client for an initial assessment were tagged as qualified appointments. 3. Prospects interested in LED lighting but hadn’t yet agreed to meet with the Client were handed off as completed leads. 1. The campaign also used LinkedIn to build relationships and gather additional information. 2. Positive call and email contacts were added as LinkedIn connections. 3. The team assigned social media responsibilities to LinkedIn specialists. 1. The campaign used two types of email outreach: email blasts (for warming up prospects) and targeted send-outs (for distributing additional materials). 2. The call campaign prioritized contacts who opened or replied to emails. 3. The Callbox team created and tested the landing pages, banner ads, and email templates used in the campaign. At time of preparing this case study, the 3-month campaign was wrapping up its final week. The campaign initially started with only one seat. But, by the end of the third week, the Client wanted to ramp up calling activities to 2 seats due to the inflow of promising prospects. During the campaign’s second month, the Client was able to close one of the appointments handed off earlier in the project. The Client is a B2B marketing specialist that offers major marketing solutions all over the United States of America and worldwide. They fuse digital and calling strategies to drive revenue for their clients through high-end marketing services. They stand on a mission to help their clients achieve full business growth through creativity, technology and strategic vision to become an organization that draws, develops and retains exceptional relationships. From a simple telemarketing service 12 years ago, the Client’s business spawned into a broad range of marketing solutions like List-To-Lead Management, Content and Digital Marketing, Automation, and Web Services which includes Social Media Management. However, not surprisingly, along with the big time expansion arose the need to increase the number of target clients – a large database of qualified prospects who have the need of the Client’s expanded services. Although the Client promptly addressed the need for a beefy database, a handful of related issues came up which seemed too much for the Client and its telemarketing team to handle: due to the extensive number of targets in the database to be called, productivity went against time so the information shared was somehow incomplete which resulted to low call quality and revenue. The Client decided to look for other options as the lead flow in the sales funnel seemed like jelly pearls passing through a large straw from a tumbler of winter melon iced tea – very few and flimsy. The Client’s callers used to make 80 calls/agent/day until the database was expanded and the daily target was raised to 140/caller/day, which came as a challenge, averaging only at 150/agent/day. 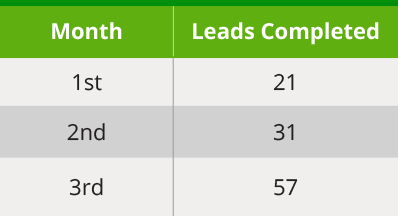 Number of leads generated averaged at 3/caller/day but went down to just 1/agent/day, a drastic decline of 60%. Prior to the Appointment Setting program, Callbox and the Client agreed to sanitize the database via Customer Profiling. Customer Profiling is part and parcel of Callbox’s holistic campaign management. Moreover, Callbox takes full responsibility in managing the database by cleansing and profiling the contacts before, during and until the campaign ends. Deduplication – missing details are retrieved and necessary changes are applied to eliminate goneaways, duplicate entries, and contacts that fall outside the target criteria. Data Verification – contact names and contact numbers are validated, as well as email addresses, postal codes, and other pertinent contact details. Callbox not only prides itself with more than a decade of sales and marketing experience and world-class service to its clients worldwide but for the proprietary technologies it has incepted like the Multi-Channel Lead Generation Program which has benefited numerous clients. The Client thought of taking things one at a time and start the project as new – unloading their quite ambitious goal of going big at a snap in such a short period of time (3 months) and instead embrace a new set of strategies like the SMART Calling technology from Callbox which catalyzed their goals into success. 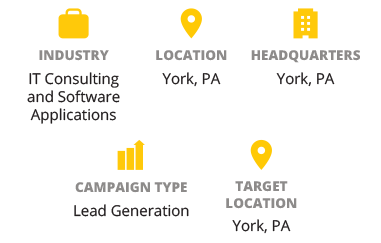 The Callbox team sent out flyers to the profiled contacts via the Pipeline Lead Nurture Tool. Opened emails, clicked links and downloads were tracked real-time and were followed up by callers at a certain time. During the follow-up call, the agent must first be able to get the prospect to agree to receive the Client’s business eBook which contains a comprehensive information about their products and services. After which, the caller should set an appointment at the prospect’s most convenient way and time. To ensure accuracy in the program, the Callbox team sent out calendar invites to prospects who agreed for appointment and a reminder to all those who agreed to receive the eBook. While Callbox makes no promises when running a campaign and just simply addresses the need of the Client’s business by giving them the power to scale up their business potentials to boost sales numbers, the Client on the other hand, deserves commendation for going down the humble road and seeking help with their marketing requirements from an industry colleague. An unusual, profound business collaboration and teamwork between marketing rivals resulted to stellar business success. The Client is a global print materials manufacturer leader and has been providing their customers with a complete range of systems and accessories for office and individual print presentation needs for more than 30 years. Integrity, fairness, loyalty, accountability and respect are the values they live in their commitment to being constantly recognized as a world leader in print solutions. The Client’s history narrates back to 1939 when they started as a niche printing enterprise in Georgia, USA. The business grew and progressed through a carousel of business activities around the globe for the succeeding years: asset acquisitions, manufacturing and development of new products and opening of new sites for offices and warehouses. In 2005, merger deals, sites expansion and newly manufactured printing products and solutions happened one after another, year after year. The rapid business growth apparently demanded for more tasks to be done, as well as utilization of advanced technology that would expedite operational processes in order to cater to bigger demands of the now extensive customer base. In 2013, the print materials manufacturer leader came to realize that the new range of printing products and solutions now have advanced features and benefits that required holistic messaging to position to target customers, and that this new messaging would best be delivered with some marketing help from an expert lead generation provider. They were clear on the two things they needed assistance with: the management of their huge database and the setting of appointments for them. Callbox provides holistic campaign management to its clients and that includes providing them the most accurate and well-managed database. Regardless of who owns the contact list, Callbox obliges itself to cleanse and profile the list before, during and until the campaign ends. Callbox’s Multi-Channel Lead Generation services did not only make it possible for the Client to manage their huge database but at the same time get their message to the right decision maker at the proper time. Schedule a phone appointment with their global sales representatives. The Callbox team delivered an average of 5 appointments per day for two campaign periods, exceeding the Client’s target of 2 to 3 per day, and even closed deals with two large businesses. The campaign has been running for more than three years now. The Client is a 30-year old leading manufacturer of physiotherapy systems in Europe. Some key components of their product offering are innovative cardiology products, software and diagnostics products. The physiotherapy leader is intensively involved in every aspect of the business, moreso the production, and provides personal attention each step of the way. Their latest product is Single Use Adhesive Electrodes, an electrotherapy treatment that would benefit users by saving time, no storing and cleaning between treatments and avoiding cross contamination. This family-run award-winning and customer-oriented physiotherapy systems manufacturer has been reaping success for years now but their new product which projects a higher standard compared with the existing ones required a more advanced, fast and comprehensive marketing program that would help them cope with the competition – enter the Callbox Multi-Touch Multi-Channel Lead Generation Program. 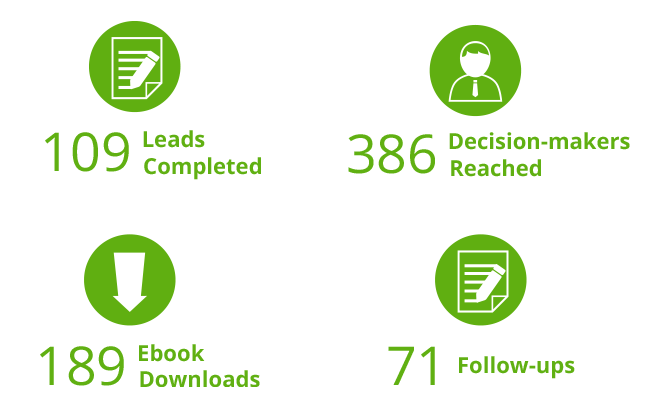 The Client requested Callbox to maximize the capacity of the Multi Channel Marketing Program by utilizing the Pipeline Lead Nurture Tool in communicating with prospects at the time when they are most available. Callbox called the target decision makers to introduce the new product, Single Use Adhesive Electrodes. Prospects who agreed to receive a follow-up call from the Client’s sales representatives were further handled by the Client’s sales representatives themselves to further explain the product’s features and benefits which is instrumental in drafting the best project design for the prospect company. Using the Pipeline Lead Nurture Tool, the Callbox team sent out introductory emails to prospects only to verify the validity of the contact details. Replies, website clicked and queries were tracked in real time for the agent to call. After the call, prospects who requested for information were then reported to the Client to be sent brochures and forms as reference for the sales representatives in tailor-fitting a project design for them. The initial result of the campaign was a pleasant surprise for the Client as Callbox produced 96 Appointments just halfway through the campaign period (middle of the second month of a 3-month campaign). Towards the end of the campaign, that number doubled to 192 Appointments, 72 of which were warm follow-ups. The physiotherapy manufacturer leader thought they’ve had enough successes in the past and that they’ve ran the best marketing strategies in the business, but was in awe when the Callbox team pulled through with lofty results for the campaign. Their decision to partner up with the best in lead generation led them to an all-time high. Just goes to show how much proven expertise can make a difference.